Today we had delicious food from @pdxsliders for my wife’s birthday lunch! That place is da bomb! We went to the opening party @citizenruthpdx and seriously, the place is gorgeous! This is a must-stop if you’re in Portland the selection of jewelry, art, clothing and gift items is amazing! Do yourself a favor and follow them! Im so excited that this weekend I will be at @portlandnightmarket with newest goodies and a new display set up! Plus, this event has some of the best food, art, and craft vendors out there, so don’t miss out! My table corgi from last nights drink and draw @nucleusportland ! I had so much fun. It was great to hang with @ennicox and all of the lovely people from last night. I’ll be there again next week, can’t wait! This was the last sunset of 2017 in Portland, OR. I love this city. I’m here at the @willametteweek Holiday Market Show! It’s one day only, from 5-9pm so don’t miss it! Stop on by tonight and do your last minute holiday shopping right here with some awesome Portland Local vendors! Today we stopped by @projectobject.co in Portland, OR and I have to say we fell in love with it! The selection of pins is amazing! Can’t wait to go back! Last day at @portlandnightmarket, which means it’s the last day for my Mystery Packs and Holiday Deals! I’m in the upstairs area until 4pm, see you soon! I’m all set-up upstairs at @portlandnightmarket! Thank you so much for having me again! I can’t wait for the show to start! I’m here from 4-11pm tonight and tomorrow! Plus, bonus day on Sunday from 11-4pm! Happy Holiday Shopping! Setting up for tomorrow’s @portlandnightmarket show! I’m upstairs for the first time, so come by to say hi! I’m going to have Amazing Holiday Deals, and Mystery Packs, but only this weekend! 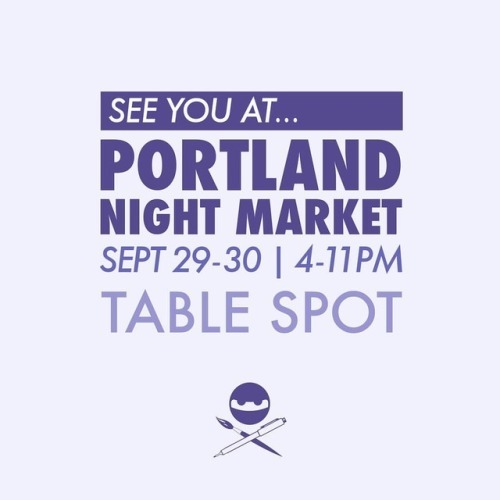 In just a couple of weeks I will be at the @portlandnightmarket, one of my favorite shows! It’ll be such a fun weekend with amazing vendors, and food! I’m going to take all of my new goodies! Come check it out this Free Show September 29-30! A new edition to my watercolor family! A new paint set along with some new colors for me to play around with. I picked these babies up @ivebnframed here in Portland. I love PDX art stores! We went to @seasweetspoke on Hawthorne today and it was absolutely delicious! We will definitely be coming back to this place soon. Hey PDX! 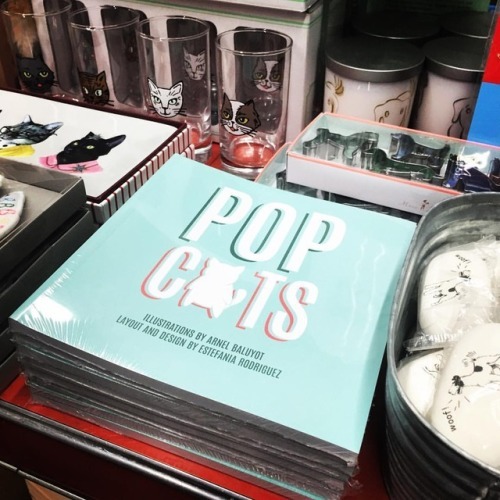 I’m super excited to announce that my Pop Cats book is now available at @collageannex! Make sure to swing by and pick up your copy today!